Hissing mystery object over Swordlestown Little which did not impress Khatela (below)! The foals have been growing well and are fortunately all healthy and full of life! Last weekend, the biggest Irish openair festival took place in Punchestown. 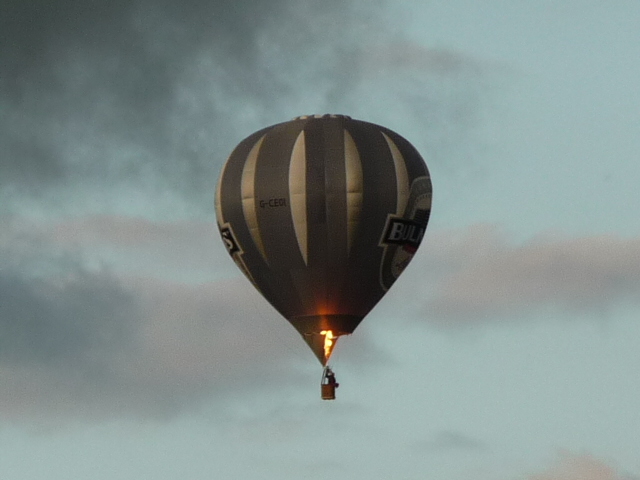 So we have had three days of loud rockmusic, helicopters, airdisplays and hotairballoons over Swordlestown Litte, but all the horses have taken it in their stride. So nothing will shock them in future! The weather continues to be mixed so the hayfields are still waiting to be cut. Lets hope this will be more successful than last year. There are big works in progress in the yard, as the lungering needed re-furbishment. 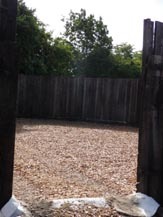 We want to have a perfect surface to start our annual work with the yearlings, so 60 tonnes of wexford sand and 30 tonnes of woodchip are occupying the yard at the moment. This is a scary sight! Huge maintenance works in progress in the yard and Icklingham settling into his new home. I am pleased to say that we have a new permanent resident at Swordlestown Little. 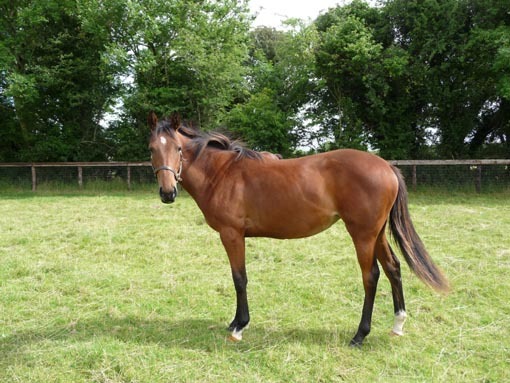 Icklingham is an eight year old gelding (Sadlers Wells - Braiswick). 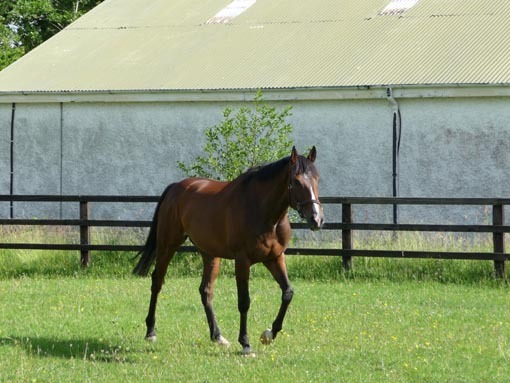 He has been a great servant to John Oxx and his owners, winning many races, including a Listed. It is a great pleasure to give a racehorse a good retirement and I am sure he will fulfill his duty as companion and lead horse for the yearlings very well. 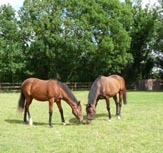 As seen on the right below, he is already good friends with the Marju yearling filly out of Stariya. 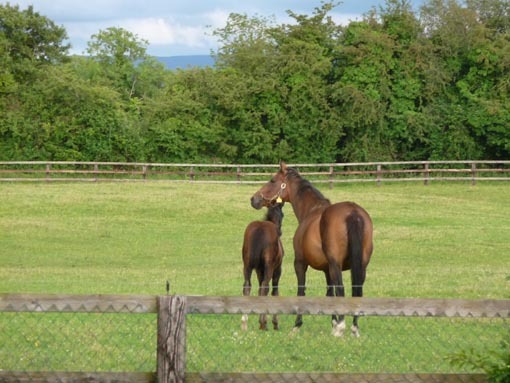 She is in the Goffs Million Sale and has already started her sales preparation (middle), while the colts are still enjoying freedom in the field (left).